Alchemy... Believe It or Not! Why do our glass prices climb throughout the year? 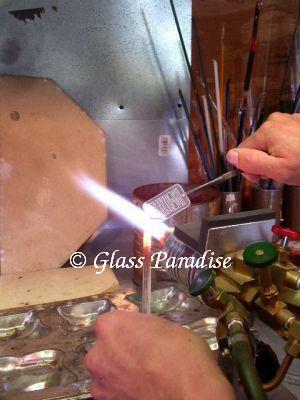 You may be surprised to learn that we actually vaporize pure silver and gold, mixing it into the art glass we create. In fact, there's no way we can keep our prices current with the soaring cost of the materials used to produce our art (which ultimately works to your advantage)! Metals prices during the past 24 hours *. This page does not refresh automatically. Press the "Refresh" button on your browser for fresh quotes. Prices updated every few minutes when markets are open. Prices are per ounce. For example: to fume one of our jars or incense burners will require a piece of gold approx the size of a pinhead, which doesn't seem like much. However, when it comes time to resupply & the price of gold has gone up to 1k an ounce...ouch! Well, you get the picture. We probably should have raised our prices long before just in order to stay in business. Ultimately, we love the craft more than gold. Have you ever seen or heard of artwork which irrevokably changes precious gold & silver into a completely unrecognizable form? We actually transmute ounces of bullion this way each week! In fact, we'll gladly "burn up" as much gold we can possibly afford. Art just for the sake of art. We do not covet bullion. In fact, we have only one use for silver & gold ...believe it or not! Most of our visitors are quite intrigued when we explain that pure bullion (precious metals) are used to achieve the beautiful coloration found in our hand blown glass products. Disbelievers scoff at the notion. This intrinsic detail lends such a unique quality to our art, we've created this interpretive page to illustrate the fascinating "reverse alchemy" involved in our glassblowing process. Encasing pure gold between layers of glass results in coloration ranging from opalescent yellow/green to an exquisite tangerine/scarlet. I often refer to these as "parrot" colors. Whereas silver will typically result in a violet/indigo, or an opalescent electric/sky blue effect. For hundreds of years medieval chemists called Alchemists searched for a way to convert the earth's elements into gold. These were probably the original "mad scientists". In effect we're doing just the opposite by transforming these precious metals into art glass. Some people think we're crazy too! Naturally, adding gold will appreciate the value of a glass piece significantly. Which makes perfect sense considering that an ounce of silver usually costs us only $18.00 while gold runs much higher @ approx. $953.00 an ounce. Just for example: when I created this page in 2005, the spot prices were silver = $7, and gold = $454. The next time we updated this page, spot prices were silver = $12, and gold = $680! 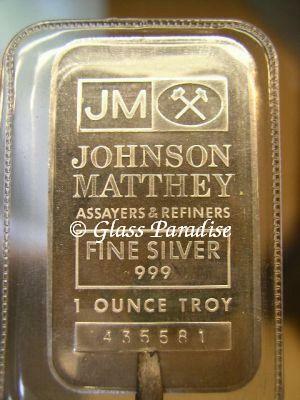 Obviously it's a never-ending task trying to keep this page up-to-date with the skyrocketing price of precious metals. Click Here to see today's Gold and Silver spot market value! Because we are consuming copious amounts of fine gold and silver, we're always interested to purchase more or trade finished goods for bullion (pure gold & silver coins and bars) at fair market price. To ensure purity we prefer bars & ingots from a "known" source such as: PAMP, Credit Suisse, Engelhard, JM Johnson Matthey, or Sunshine refineries. We like these in any condition: American Buffalo*, Canadian Maple Leaf, Austrian Philharmonic, Chinese Panda, or anything with a purity of .999 or greater. Krugerrands and American Eagles are also welcome. Unlike regular investors or "coin collectors" we're not particularly concerned with the cosmetic appearance of the ingot / coin, which may quite possibly work to our mutual advantage. If you have gold / silver to sell or trade, contact us. Let us know what you have, then we'll call and see if we can arrive at a copacetic trading scenario. 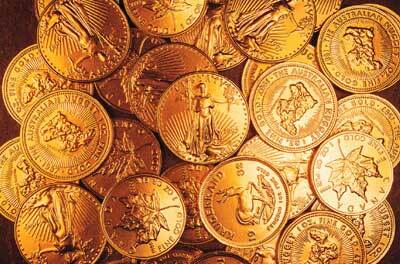 We're usually interested to purchase gold & silver at or near the spot market value. How exactly does that work? The spot price is determined by market forces in the 24-hour global over-the-counter (OTC) market. 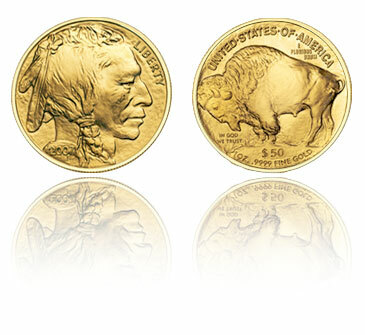 *Unlike previous American gold coinage, which has traditionally been 22-karat (or .9167 fine), the American Buffalo is unique in that it represents the United States' first large-scale circulation of a .9999 (or four-nines) fine gold coin in the Mint's history.